Biometrics applications in the workplace have increased tremendously over the past decade. Companies are moving from the conventional punch card system for attendances to a more automated system such as smart card system where staffs are required to wave their card at the machine to report attendance. Companies shifted from the lock and key system for access control to pseudo-modern security system such as RFID and MiFare card system to gain access to premises. However, these systems still pose various loopholes that exposed companies to time abuse and security threats. The introduction of biometrics system around two decades ago to this industry had brought a new feature to the table that no other systems can come close to, which is the uniqueness in verification using one’s unique individual traits. Fingerprints are proven to be exclusively individual by many researches and even twin studies confirmed this distinctiveness. Data received from Biometrics devices is deemed accurate and it is so crucial in attendance and security industries because it leads to spot-on analysis and assessment, which a company can benefit from to improve its profits and productivity. The implementation of biometrics attendance system in offices benefits a company more than just tracing who are coming late in the morning. Biometrics system like FingerTec provides details of each attendance activity being recorded accurately by the system; making sure nothing is lost in translations. 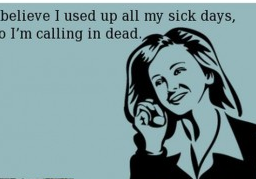 Not only late INs, the system also captures other tardiness such as early outs, miss-punches, long breaks, frequent leave abuse, excessive overtime and etc. effortlessly, which the other systems could have simply overlooked. In turn, the company possesses individual data that would make everybody aware of their deficiencies and strives to improve their performance. By having a biometrics attendance system like FingerTec from Hutaib InfoTech Solutions, attendance policies can be implemented across the company without favor. Biometrics attendance system is impartial because it is designed to record the time activities of everybody regardless of his/her position in the organization. When the company configures 15 minutes as the max time allowance for check-ins, those who come in late 16 minutes will be considered tardy by the system, automatically. Knowing that everybody is treated on the same level playing field, the system earns its merits and compliance. In terms of convenience, implementation of biometrics attendance system requires no daily, weekly or monthly data entry because the data is collected from the devices instantly and is transferable to the management software. Without relying on any admin personnel, biometrics system provides accurate data, which can be exported in various formats to be used for other related purposes that can benefit the company. Not only that the company saves man-hours and dodges human errors; the data collected is genuine and the staff that were responsible for data entry can focus their attention on other pressing matters in the company. Biometrics attendance system does not require additional token to be carried by employees and verification takes less than a second for convenience and efficiency. Deployment of biometrics system like FingerTec in one’s company gives the impression that the company prioritizes discipline, as the company is willing to invest on an advanced system to better employees’ performance. And the system indeed is providing the company with invaluable tool to gather information about its workforce, providing an insight into impending issues and loopholes about the workforce of the company. Installation of biometrics system for access control like FingerTec R2 and R3 instantly provides tight security because the system scans the fingerprint of every person who wishes to enter a premise. Implementation of biometrics system for access reduces the need for identity verification by personnel like a security guard, and it provides details of audit trail from the moment the person enters a premise until the moment he leaves the building. On top of that, Biometrics access system like FingerTec which is bundled with Ingress software can also be configured to have other security features like anti-pass back, to prevent users who have entered a premise or an area to enter again without exiting, and time zones to allow a particular user access in particular time zone only. Biometrics door access systems like FingerTec can also be integrated with other security solutions such as camera system, visitor management system, alarm system, elevator system and many more for an Integrated Security Solution. All door activities can be monitored from one centralized location and alert notification can be sent as and when something suspicious is happening. Biometrics in the workplace used to be something ridiculous, but now the technology has been made affordable, convenient and effective for various industries. Businesses are getting expensive and security has become a great concern for many, and biometrics systems provide the solutions for both. Biometrics technology is a green technology that has reshaped the workplace to be efficient, trustworthy and secured. This technology has automated workforce-monitoring process while providing users with so many added advantages for a company. The availability and reliability of the biometrics system makes it cost effective and eliminates liabilities such as loss of hardware (access cards) and reduces the chance for inconclusive data collection, as biometrics is difficult to duplicate or fabricate. 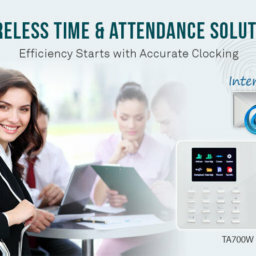 The biometrics system increases the effectiveness of attendance management and is easily the best system to date. For more information on best available Biometrics Systems for Time Attendance and Door Access Control Solutions for your Business and Homes, please contact Hutaib InfoTech Solutions at info@hutaibinfotech.com / www.securitysolutionsdubai.com. Our experts will walk you through the Products and Solutions to keep you ahead of the curve. 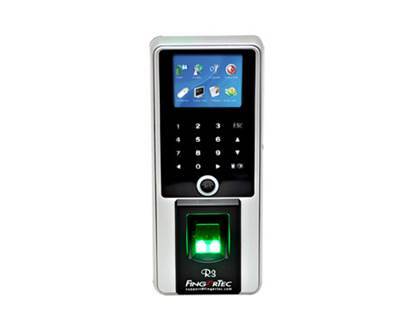 FINGERTEC is a renowned brand of biometrics products for time attendance and door access control since 2000.